Joanna earned her Bachelor of Science in Interior Environments from Auburn University. With over 20 years of experience and an extensive background in both residential & commercial design, she has been responsible for numerous award-winning projects, ranging from custom residential estates to contemporary commercial office buildings. Joanna has developed a reputation for her spirit of creativity, attention to detail, and passion for realizing her clients’ visions in their projects. As Director of Interior Design, she leads the design process for all interior projects for the firm. Joanna’s leadership, alongside Chris Reebals, has resulted in CAI being named a finalist in HGTV’s 2018 Faces of Design competition, after winning the esteemed award in 2017. 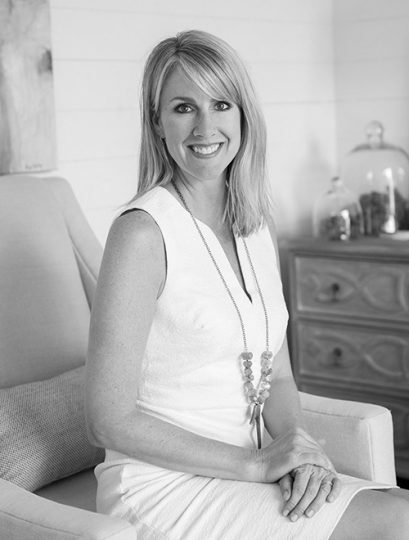 She has been published in Southern Home, Southern Lady, Ocean Home, Elle Décor and Birmingham Magazine, as well as being a featured speaker at the 2018 Architectural Digest Design Show in New York. A tireless advocate for design, you can find her on Instagram at @joannabgoodman. In her free time, she enjoys traveling with her husband Garrett, spending time with their sons Ben and Charlie, playing tennis and attending concerts.